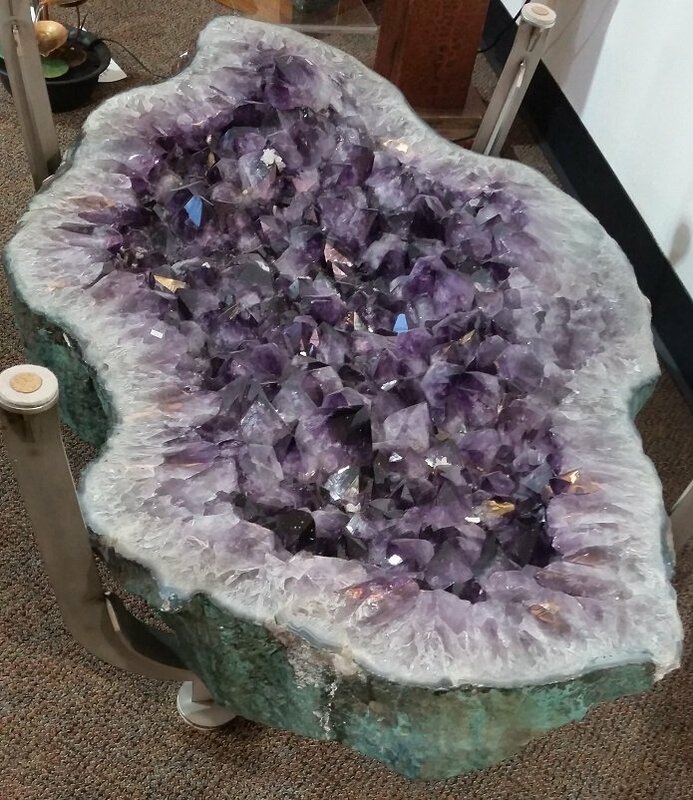 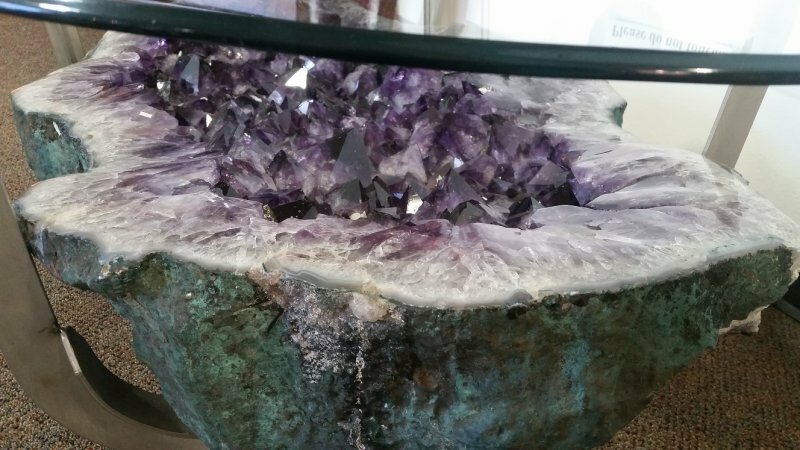 Amethyst Coffee Table - Amazing! 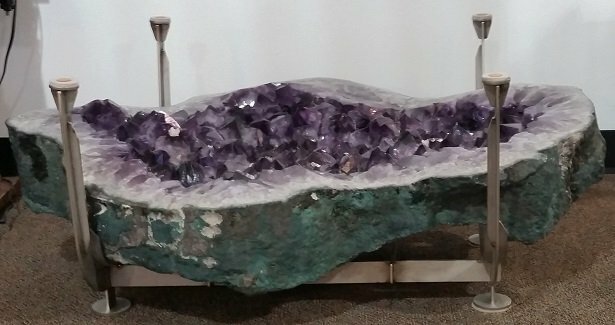 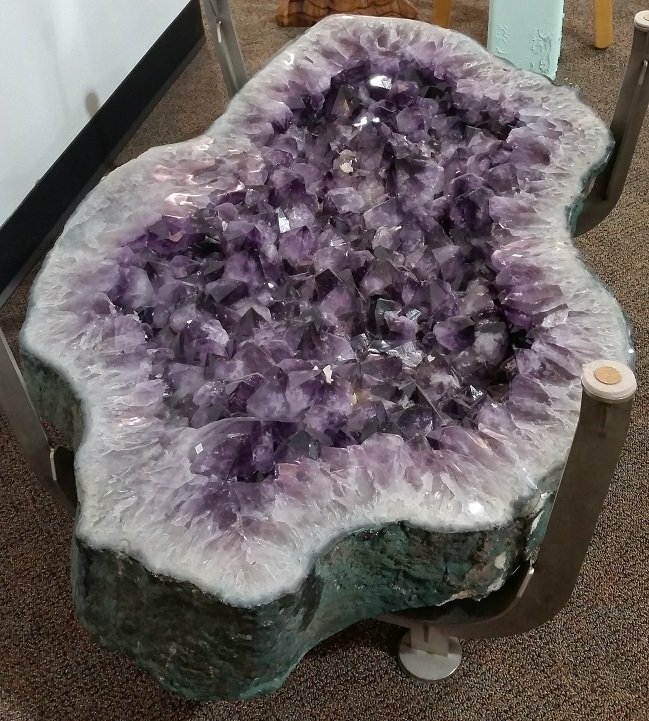 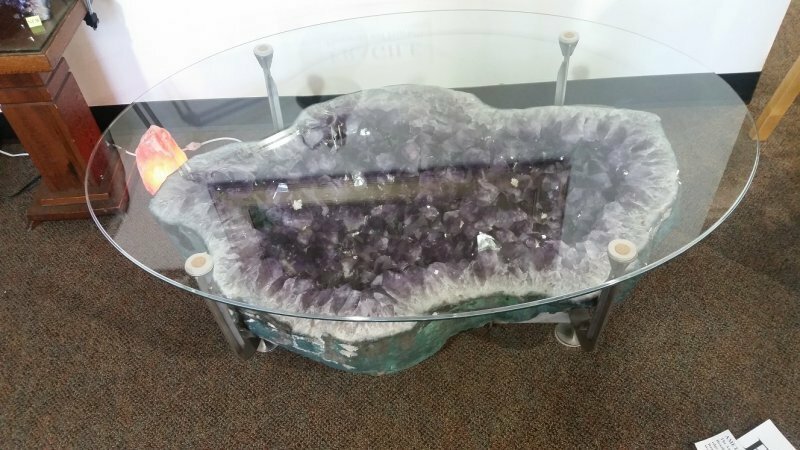 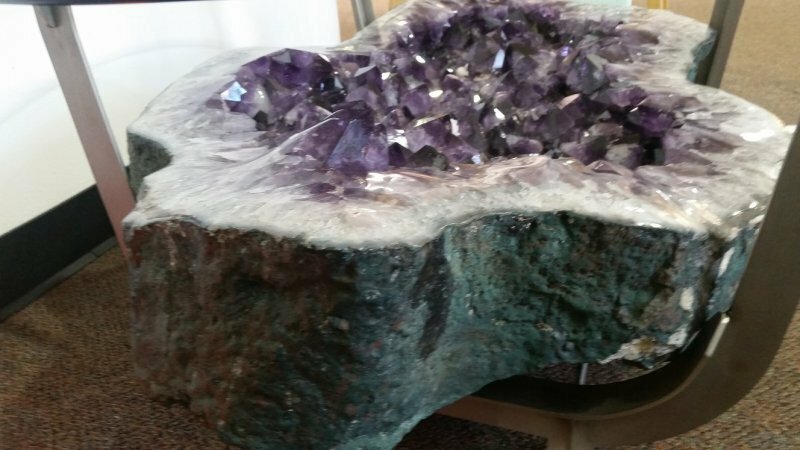 This is an Amethyst Geode that has been set in a custom made steel coffee table frame with a beveled edge oval glass top. 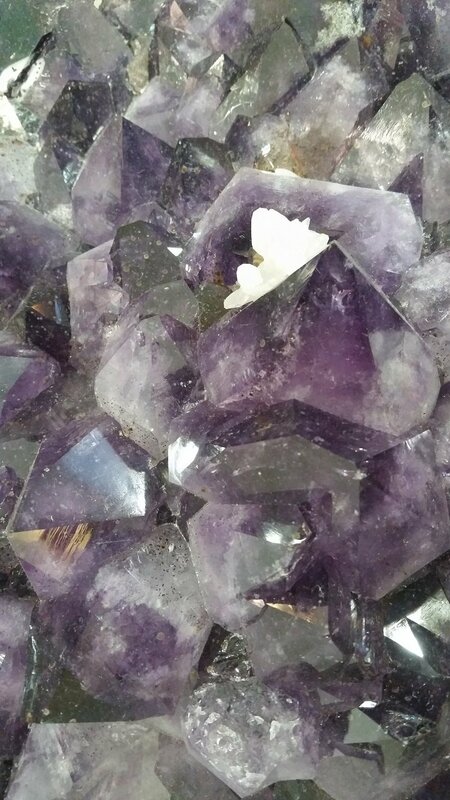 The crystals are dark and large with fantastic tips. 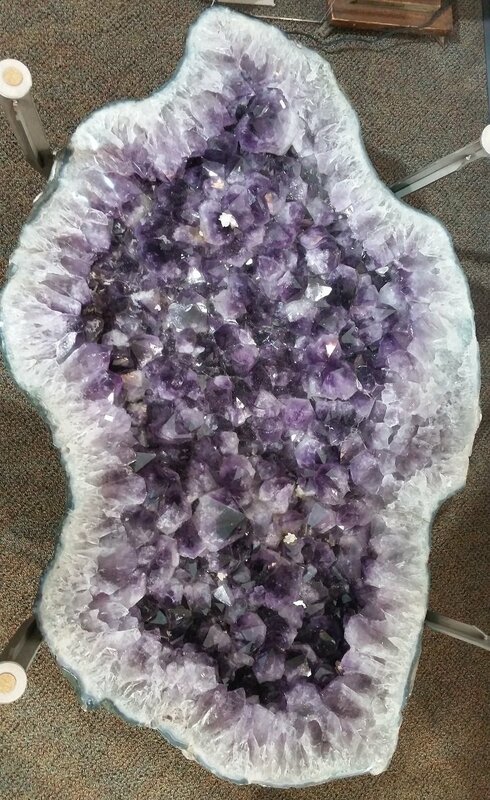 The edges of this oval geode have been polished and the outside of the geode is its natural color. 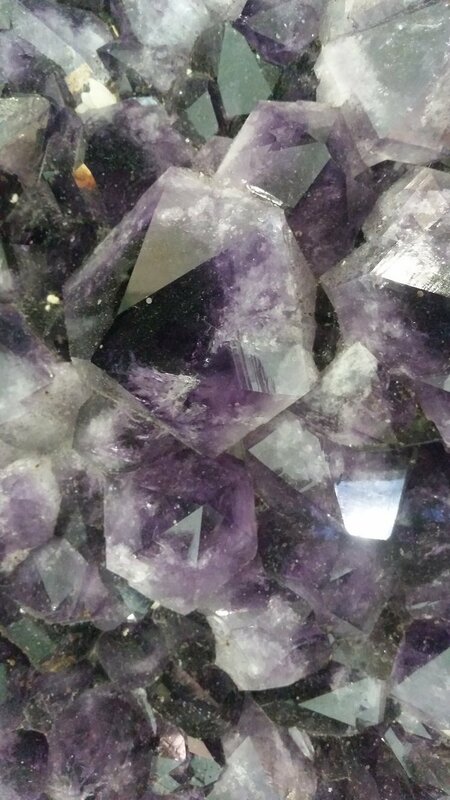 There has been no black texture paint applied to the exterior, as is often seen on these geodes.